The world now knows her as Indrani Mukerjea, but for people in Guwahati and Shillong, she is remembered as Pori Bora, a crazy, ambitious, beautiful girl, who was also a party animal of sorts. 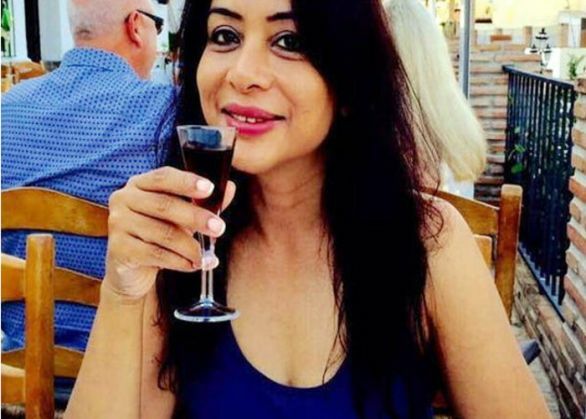 Even as investigations into the murder of Sheena Bora throw up startling twists every day, more and more astounding facts are emerging about Indrani's past, specifically from the two cities where she spent her school and college years. Indrani was in the 1982 batch of St.Mary's School at Guwahati, at a time when violent agitations rocked Assam. It is a prestigious school which boasts of established professionals as its alumni, most of whom remember her, though some are a bit reticent talking about her. A former classmate describes her, "In those days, our school was very strict. Guwahati was not cosmopolitan and people were not so broad minded. She was someone we did not mix too much with. She was very crazy, would hang around with boys outside the schools... Things she read were not appreciated those days." According to school sources, in Std X, Indrani tied to elope with a boy. After being caught by her parents at Guwahati railway station, she took her board exams privately. This incident rang alarm bells in school and she was expelled. "Even our teachers advised us to stay away from her. The school officials perhaps thought she might spoil the other girls and expelled her," the classmate adds. Catch news has confirmed that Indrani cleared her matriculation exam as a private candidate. While growing up, unlike girls of her age in Guwahati, Indrani was interested in Western music, fashion and acting. She had a care-a-damn attitude and didn't bother about things she disliked, the classmate recalls. She wasn't bothered even after being thrown out of school and continued being stubborn and arrogant, she adds. At this point, Indrani moved to Shillong. In those days Shillong, the erstwhile capital of undivided Assam, was the most happening place in North East India and a hub of education. 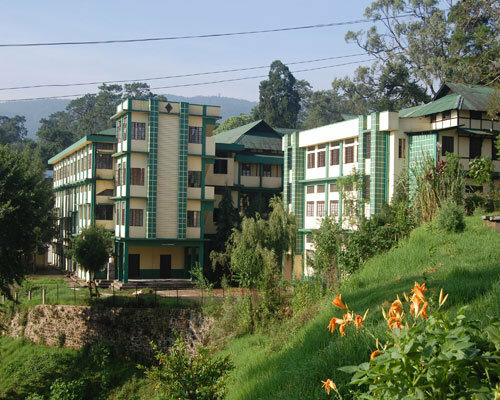 Indrani started attending Lady Keane College, a renowned institution at the time. While there, she befriended some girls from Guwahti and other parts of Assam. They formed a group which was famous for being "'crazy, outgoing and bold", mentions another former batchmate from Lady Keane, who is now settled in Guwahati . "We were in our teens. I was not totally into that group but have been around with them. Indrani was ambitious. She was also helpful. But as a group, they were known as the party animals," she adds and goes on to say that it was in Shillong that Indrani met Siddartha Das, who was a "handsome guy". She remembers, "Indrani had many guy friends. In fact, those days Shillong more open than any other place in India in terms of relationships. We saw her a couple of times with Siddartha." Sources have confirmed that Siddartha Das hailed from Karimganj district of Southern Assam and was unemployed at the time. "Indrani did tell us that even in school she had many relationships, so we did not take her relationships seriously. We remained in touch as she was in Guwahati, but after she disappeared in the 1990s, we never had any contact," she says. In Shillong, an established businessman, who at that time was at St. Edmund's College, admits of a crush on Indrani. "She was gorgeous, smart and had an attitude. She was much talked about," he says. According to those who knew her in Shillong and Guwahati, it was in Shillong that she got pregnant with Siddartha Das' baby and then went to Guwhati. "Siddartha initially lived with her in Sundarpur after the birth of their first child, Sheena. We have seen him," report sources, on conditions of anonymity. They add that Indrani's father gave the couple money to start a restaurant in Ganeshguri locality. After the failure of this venture, Siddhartha seems to have left. "We did not see her after the second child was born," an old neighbour claims, on condition of anonymity. Another neighbour claims that Indrani did some small time jobs between 1990 and 1992 in Guwahati and then It appears that she got in touch with her family again between 2002 and 2004. Indrani's parent reportedly started staying aloof from the neighbours, according to whom, her son Mihkail is known as a "disturbing element" in the area. However, they do remember Sheena as a cute girl who spoke very little.